The supervolcano under Yellowstone National Parkmay erupt sooner than previously thought – and wipe out life on Earth, researchers warned this week. 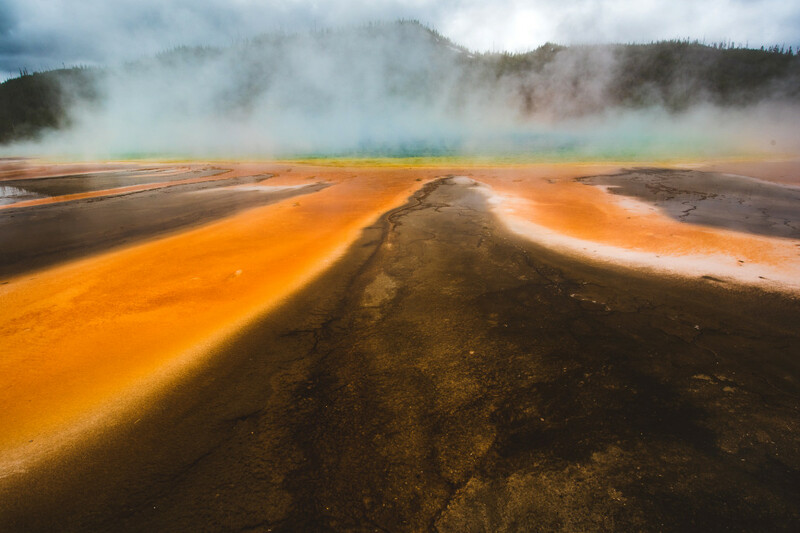 Scientists from Arizona State University who analyzed minerals in fossilized ash from the most recent mega-eruption about 630,000 years ago found the supervolcano woke up after fresh magma flowed into the caldera, a 40-mile-wide bowl, National Geographic reported. The previous eruption occurred in about the same timeframe before that — 1.3 million years ago — meaning that the volcano may be primed for another explosion. And the eruption may be a doozy — that spells doomsday. The volcano can belch out more than 1,000 cubic kilometers of rock and ash — 2,500 times more than was Mount St. Helens did in 1980, the ASU researchers found. Such an event could cover most of the US in ash and possibly plunge the Earth into a volcanic winter, they said, the New York Times reported. The minerals revealed that changes in temperature and composition built up in only decades. Until now, geologists believed it would take centuries for the supervolcano to make that transition. The new findings come on the heels of a 2011 study that found that ground above the magma reservoir had bulged by about 10 inches in seven years, the mag reported. “It’s an extraordinary uplift, because it covers such a large area and the rates are so high,” volcano expert Bob Smith from the University of Utah told the magazine at the time. The swelling reservoir responsible for the uplift was too deep to create fears of imminent doom, Smith said. In 2012, other scientists reported that at least one of the past super-eruptions may have really been two events – suggesting that such large-scale events may be more common than thought. And a 2013 study showed that the magma reservoir that feeds the supervolcano is about two and a half times larger than previous estimates. Scientists believed the reservoir is drained after every huge blast, so they thought it should take a long time to refill. Based on the latest study, it appears the magma can rapidly refresh — making the volcano potentially explosive in the geologic blink of an eye. “It’s shocking how little time is required to take a volcanic system from being quiet and sitting there to the edge of an eruption,” study co-author Hannah Shamloo told the New York Times.